Zeke is a very intelligent and curious person. 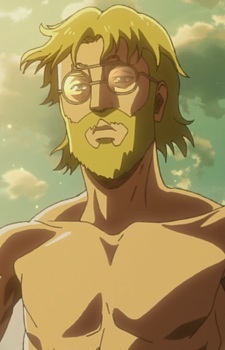 Zeke is a mysterious Titan Shifter that was first seen within Wall Rose during its supposed breach, and was responsible for transforming the people of Ragako into Titans. He acts as a military leader of the warriors of the Hometown and serves as one of the current primary antagonists of the series. Zeke has been revealed to be the son of Grisha Yeager (Eren's father).